Use a full featured version of Analytic Solver software (with model/data size limits, enough for all examples) for 15 days, free of charge. Only pay for the features you use! Upgrade - and pay for - just the Analytic Solver features you need (data mining, simulation, or optimization) to full commercial model/data size and speed. You'll still be able to learn and run examples using all the other features! 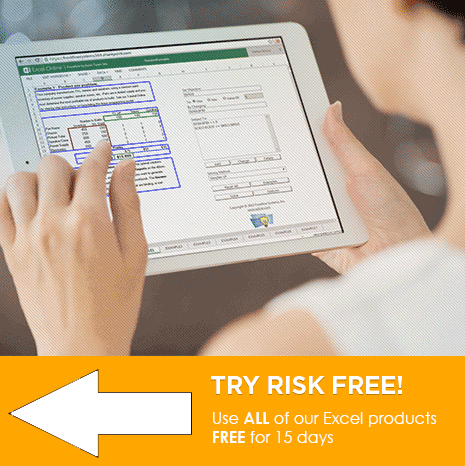 Upgrading from the basic Excel Solver? At the heart of Analytic Solver Optimization is the combination of our advanced Solver Engines and our proprietary PSI Interpreter -- which algebraically analyzes your formulas, delivers model structure information crucial for advanced optimization algorithms, computes function gradient and curvature results with maximum speed and accuracy, and fully exploits multiple processor cores. And we make all this advanced technology easy -- even automatic -- for you to use. With Analytic Solver Optimization you'll get more accurate results in less time, no matter what type of optimization problem you are trying to solve, and what Solver Engine you use to solve it. No other product comes close -- except our own Analytic Solver Comprehensive, an even more powerful product that 100% upward compatible from Analytic Solver Optimization! Analytic Solver Optimization provides best-in-class tools to help you solve virtually any conventional optimization problem of any size. Excel Solver compatible Use existing Solver models and VBA macros as-is, but solve faster -- just open your workbook and solve. Upgrade to full analytics Upgrade Premium Solver Platform for Windows to handle stochastic and robust optimization, all the way to full-power predictive and prescriptive analytics. Unlimited size models Handle problems with up to 8,000 decision variables (40 times larger than the Excel Solver) using built-in Solver engines, and virtually unlimited size problems with optional plug-in Solver engines. Easier model building Our Constraint Wizard helps you think about and define constraints. Guided Mode helps you better understand your model, refine it for better answers in less time, and find and correct any errors. When you're up to speed, Auto-Help Mode gives you expert help only when you encounter an error. Dimensional modeling Build more structured, easily readable, compact Excel models, that represent business situations with many 'dimensions' such as products, customer types, geographic regions, or time periods. Helpful example models Over 60 example models show you step by step how to create a basic Solver model, build more complex models, and use more advanced features. Better solutions Find better solutions to portfolio optimization problems, global optimization problems, and models using arbitrary Excel functions with the built-in LP/Quadratic, SOCP Barrier, Interval Global and Evolutionary Solvers. Faster solutions Find solutions between 2X and 200X faster thanks to more advanced Solver engines, better optimization algorithms, and our super-fast, proven accurate PSI Interpreter. Insightful reports & charts Easily understand and share results, and get insight into the key drivers of your model results and potential decision trade-offs you can make. Easy to use interface Use either a dialog-based interface that matches the basic Excel Solver, or our Ribbon and Task Pane interface with quick access to advanced features and help. Remove guesswork Simply define your model in Excel -- Premium Solver Platform will analyze it algebraically and automatically choose the best available Solver engine for it. Automatic transformation Premium Solver Platform goes beyond model analysis -- if your model would solve slowly because it uses functions like IF, VLOOKUP and HLOOKUP, MIN and MAX, it will seek to transform your model automatically into a form that can be solved much more quickly and accurately. Upgrade Solver Engines We developed the solver in Excel -- you get an extremely powerful, 100% compatible upgrade now, and the ability to "plug in" the world's best Solver engines for every type of optimization problem, whenever you need them. Your plug-in Solver engines will work with all our Platform products. If you're familiar with our earlier products: In V2017, Premium Solver Platform becomes Analytic Solver Optimization, and Premium Solver Pro becomes Analytic Solver Upgrade. Risk Solver Platform matches Analytic Solver Simulation plus Analytic Solver Optimization. Documentation From a simple Ribbon and Task Pane interface, to instant-access online Help, our 21-page QuickStart Guide, and over 1,800 pages of User and Reference Guides, we've got you covered. Textbooks If our built-in documentation isn't enough, scores of textbooks for MBA analytics courses use Analytic Solver software throughout, with step-by-step instructions and example models. Wizards Our Constraint Wizard helps you think through and then define the right constraints for your optimization model. Our Distribution Wizard does the same for probability distributions in your simulation model. Guided Mode Guided Mode takes you step-by-step through automatic diagnosis of your optimization model, recommended Solver Engines, and interpreting result messages. Auto-Help Mode steps in only when a problem arises. Live Chat Only Frontline Solvers offer quick access to Tech Support via Live Chat from inside Excel -- automatically passing error information to our support reps. Your Analytic Solver annual license covers use on office, laptop and home PCs, and "in the cloud" at AnalyticSolver.com. A successful model can earn back the software license cost many times over! To try out Analytic Solver Optimization, simply download our Frontline Solvers free 15-day trial Setup program.